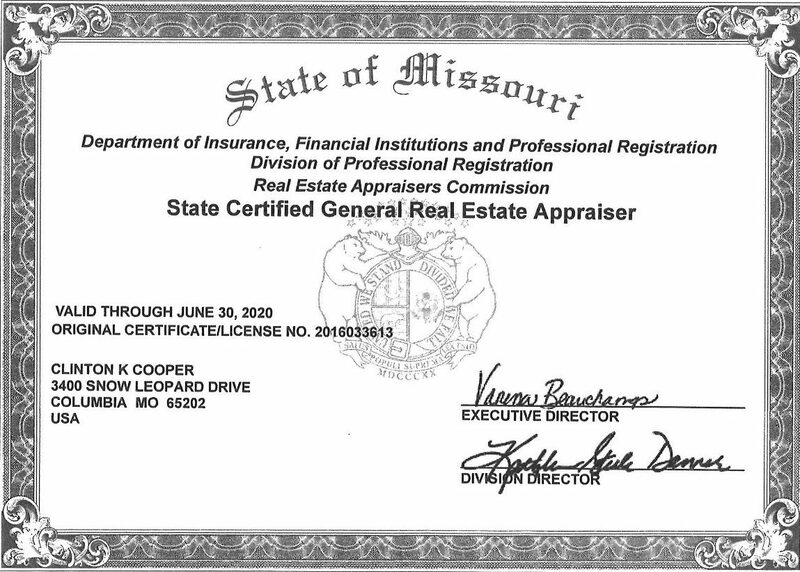 The Appraisal Institute and the State of Missouri conduct a program of continuing education for its members, candidates and affiliates. Appraisers who meet the minimum standards of this program are awarded periodic educational certification. Mr. Cooper is certified under these programs. Mr. Cooper has provided appraisal and consulting services throughout Missouri involving most property types and has held a variety of positions in commercial banking. In addition to land, multifamily, office, retail, and industrial properties appraised in Boone County and surrounding communities, he is also experienced with various specialty properties including: self-storage, hotel/motel, and convenience store/gas station properties.